No matter what we did, we couldn't get the soap out of our hair with salt water. John's special salt water soap was not all it was cracked up to be. 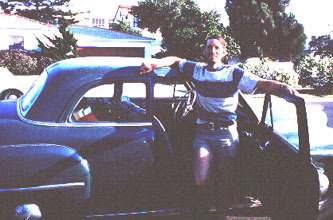 Note the '51 Plymouth coupe which was still running fine and made us a two car family. We even took the Plymouth into the field a few times.